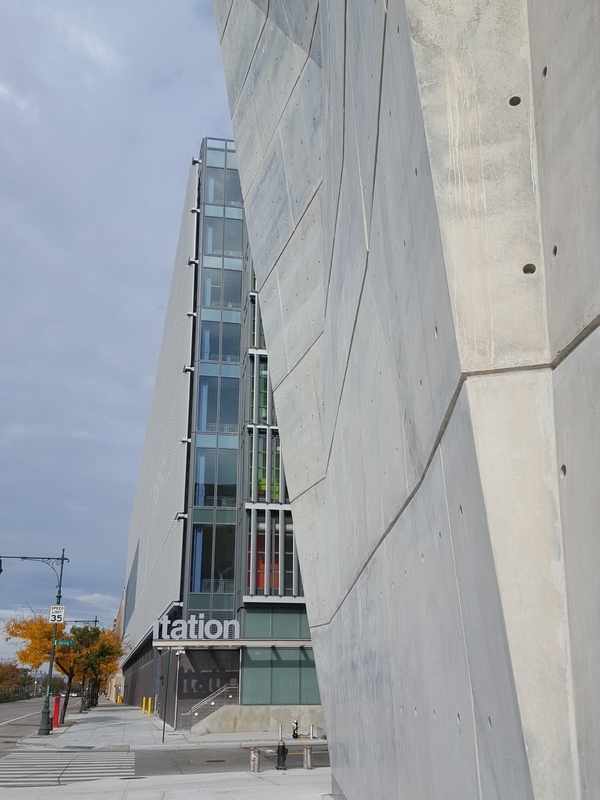 The new and exciting building that appeared on the West Side Highway between Spring and Canal Streets in the fall of 2015, is not another modern art museum or a concert hall, even though it looks like one. There's nothing romantic or artsy about the content and function of this structure: it's a salt shed commissioned by the Department of Sanitation. And it is designed to look like a salt crystal, according to Dattner Architects. No metaphors, just salt.